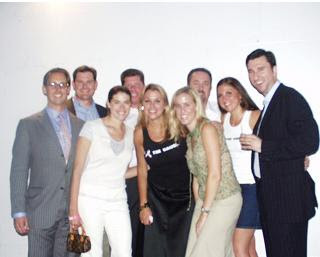 The Libby Ross Foundation hosted their sizzling Summer Event at the Redemption Club in New York City on Tuesday, July 13, 2005 with delicious hors d'oeuvres and open bar to raise community awareness and money for breast cancer. The Libby Ross Foundation was founded in 1999 by Lori Ross and Marla Wilner. Both of the founders have first hand experience with breast cancer in their families. Lori lost her mother to this insidious disease in 1998 and Marla's mother is a two-time survivor of breast cancer. For more information on the foundation and volunteering efforts please visit their website: http://www.thelibbyrossfoundation.com/ . And save the date for The Libby Ross Foundation's 6th Annual Gala to be held November 3rd, 2005 at The New York Design Center.